You'll notice some drop areas have been added on the property. If you're playing in a competition then you must use the drop area if your ball comes to rest in one of the new bunkers. These areas are on new sod so you also get to place the ball in these drop zones. If you're out there just having fun, obviously you can drop it wherever you like as long as you are using the ball retrievers to get your ball out of the new bunkers. 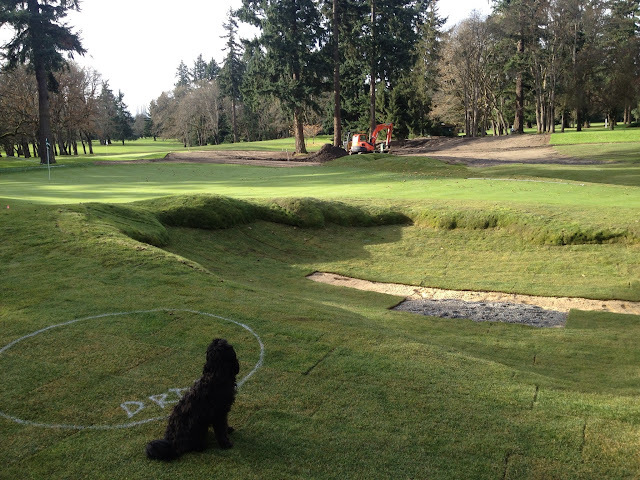 One of our newest bunkers is the one fronting the 5th green. It turned out very nice and is deeper than most. Take plenty of club and get it over this one. Above is a pic of the one left of the 5th green. It's really quite different than all the rest in that it's not long or wide. It's just kind of roundish but still very cool. 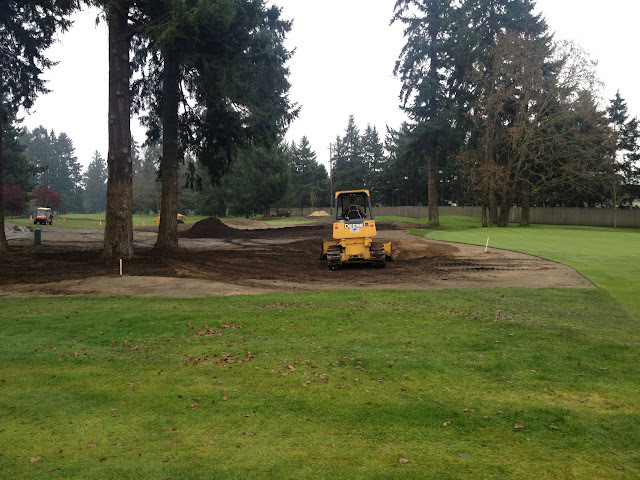 Above is the look of the 5th green from the fairway....... SWEET! Nick Schaan was here this week and made some adjustments to all of our newest projects. The area between 5 & 8 is looking great. 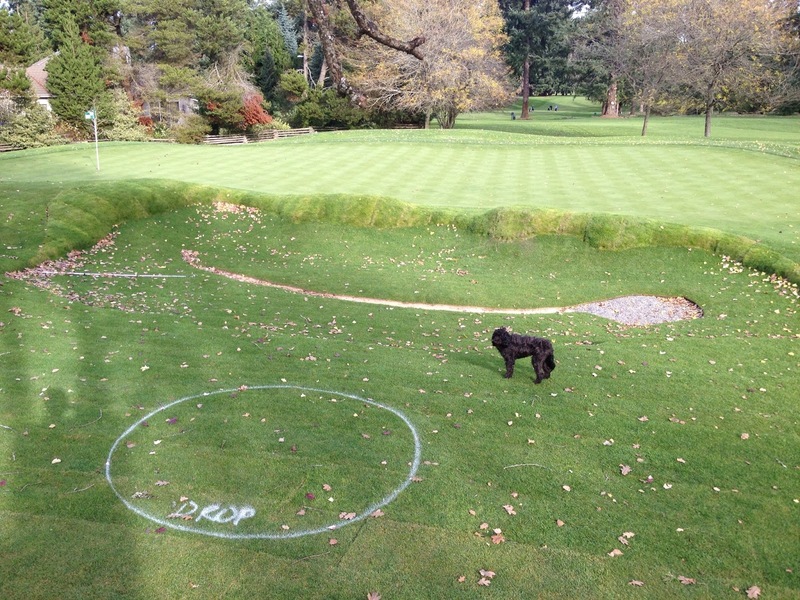 We installed some drainage here the other day, and we continued to adjust some of the contours. 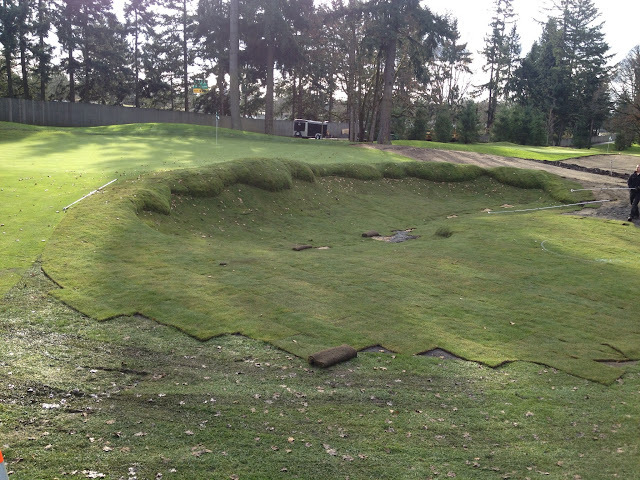 I think it's just about ready for turf. 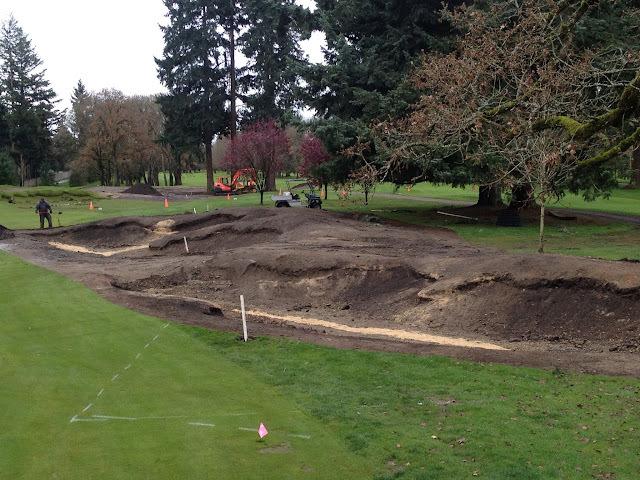 Below is a look at the new ninth tee. It looks like we got enough soil there to finish it. 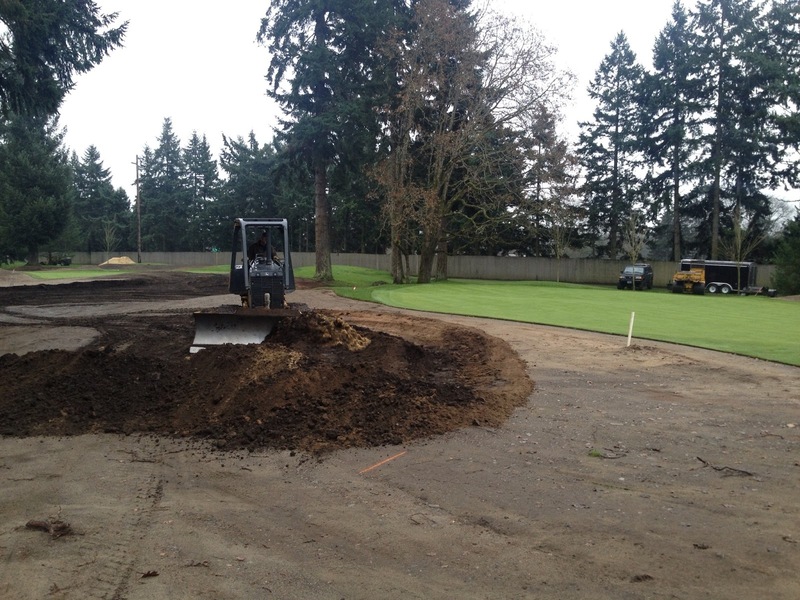 The final grading of the tees will be the last thing we do since they are not directly in play like the new bunkers. Above you see the new trap on the right of number 8. I don't think this picture does it justice because it might be my new favorite. If you can't tell, it is pretty big and deep. I think it might be best to miss it left here, except now we created such a run off on the left side, I'm just not sure. The 8th hole will surely remain our hardest hole after the renovation............just brutal. 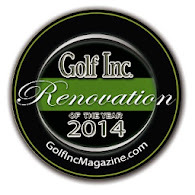 Here's where we're working this week..................5 fairway. These two traps are looking really good so far. They're built into a small hillside which frames them really well and allows them to look like they naturally belong there. Can't wait to see the sod go on them this Thursday.